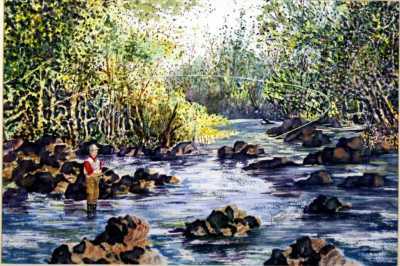 Tall Man is Fly Fishing for Trout. One of Marion Sue's latest paintings dated 2001. The framed dimensions are 24 X 30.